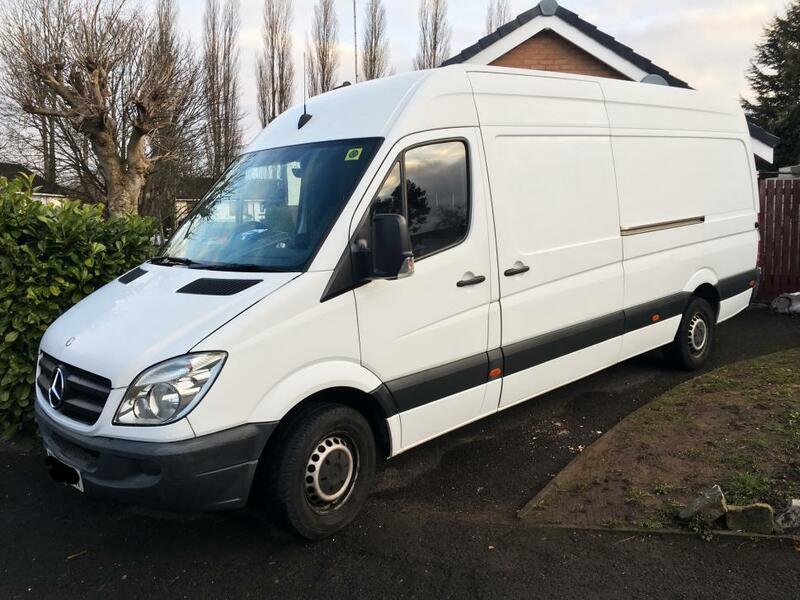 To make sure you get the best deal we'll show you great prices from all of our drivers, including ArtVan Transport Services, if they're available on the day of your move. Have a question for ArtVan Transport Services? No problem, send them a message and they'll email you back as soon as possible. If you have a more general question you might find it answered in the FAQ, or you always contact one of our brilliant customer service team. * ArtVan Transport Services won't be able to see your email address. blankets, straps and trolley available. Arthur was really helpful, he absolutely went above and beyond and made our move far less stressful and straightforward. I couldn't recommend him more. Thank you Arthur! I had a very good experience transporting my things and travelling with Arthur. I’d recommend ArtVan. Arthur was early and extremely efficient. He was very conscientious and I would definitely recommend him. Artur was extremely efficient. He was on time and kept us informed from the point of booking and right through the journey. Nice clean van. I would certainly recommend him to anyone. Arthur and his girlfriend were both really lovely and helpful. Blankets and straps were available for a few fragile items which were also being moved. Naturally when moving halfway across the country you're anxious and worried thinking 'I hope it is all going to be well' and in fact, it was amazing and would highly recommend Arthur for the quality and commitment of the service received. Perfect service and ready ahead of time.. Helped me more than he should on the unload. thanks! Arthur was very quick and efficient and didn't waste any time packing the van or unpacking it. We would definitely recommend him to everyone we know. Efficient and friendly, good guy. They were courteous, very helpful and efficient . I cannot praise them too highly. Thank.you. Stepped in at the last minute and saved the day after the original booking cancelled at the last minute. Was a massive help with my heavier items. All the other positive reviews were well warranted. Easy move. Excellent, efficient and friendly service. I'd use this one again without hesitation. Arthur is very kind and helpful, I can vouch for him, he is dependable . We have very easy move with help of him. Very professional trustworthy and personable. Highly recommend him. Driver was really friendly and kept me updated from booking until the job was complete, and all of my belongings made it safely to my destination. He even took the ferry to deliver my items! Would definitely recommend! Great guy. Arrived on time, was super efficient. Would highly recommend! Friendly, professional, polite, efficient. Prefect service. I'll be using them every time I move. Both drivers were great, went above and beyond then what they were paid to do. Highly recommend. All in all, a superb service from a very hard working man. A perfect service from start to finish. Super friendly and I would highly recommend. Get service from Compare the Man&Van too. Brilliant. Otto was a little late but he phoned to let us know there was a problem on the motorway. He was fast and very pleasant. Will definitely use this service again. Thank you. Disappointed that straps & blankets were not used. I provided some travel rugs for protection between items. When taking furniture into destination, a deep scratch was put in my mahogany wall unit and my microwave was broken beyond repair. Superb driver! Helpful and friendly!Highly recommended!